A Dark Cup of Winter Solstice and a Lump of Cancer? Yes, I’ve joined the Cancer Club! Breast cancer to be precise…some people like that detail….like ordering coffee and specifying a decaf. Well, I’m more of a tea drinker…herbal tea to be exact….but that’s another topic. I practice and teach yoga, meditate, do self Ayurveda abhyanga massage, in other words I take care of myself. In fact, it was thanks to the self massage that I discovered this lump which my doctor could not feel. We’ve monitored it for months and did what was necessary. Followed the guidelines and protocols. Follow up in six months, check. Sub out class for biopsy, check. Breath in breath out, check. Done. Winter Solstice 2018, darkest day of the year….no kidding. I got “the call” from my doctor just before jumping on the plane to visit my relatives in Asia. 14 plus hours of sleepless economy class time to contemplate. Perfect upright position for meditation since leaning the chair back can break the knees of the person behind me. I chant in my head “Amaram hum Madhuram hum”; “Pure, Free, Immortal”; noticing my attachment to my wonderful husband holding my hand on my right, and my amazing boys glued to the screens on the left. Thoughts, tears, peace. It all surfaced at once and sporadically. Unexplainable as I fall into the dream world to the sound of the engine…but not for long. The unknown is what we fear, but the presence is actually silence. That awareness and remembrance calms me. I am fine. More than fine, I am divine and ready for whatever arises…We continue to fly towards the light, I’m transforming out of the dark into a bright unknown and I am ready. Thank you for reading, I am stepping up to listen to my Higher Self and will take more time off for this purpose. Thank you for being patient and I expect to see you fully on the mat by April. Meanwhile, I love teaching so will continue to offer my classes at my home studio on Mondays and Tuesdays. (These are currently full, but do check in) I would like to express my deepest gratitude for your commitment to yourself by showing up for Your Highest on and off the mat. Please contact me for registration and sliding scale rates if unable to attend all classes. (No class on Family Day Feb 18th) Classes may be moved or postponed due to surgery date. Please contact me for registration and sliding scale rates if unable to attend all classes. Classes may be moved or postponed due to surgery date. ________________________________ De : Carine Young Richmond, BC Envoyé : 21 janvier 2019 02:22 À : camilleruffie@hotmail.com Objet : [New post] A Dark Cup of Winter Solstice and a Lump of Cancer? Thinking of you Carine! 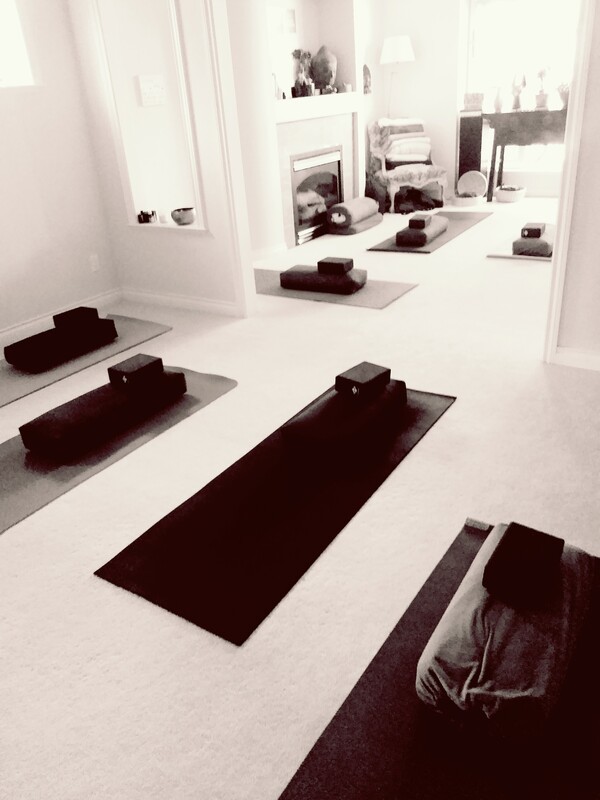 When I walk into YYoga, you come into my mind. Missing you lots! Hope all will be well soon! Your students await for you . Add oil 💪🙏! Previous Previous post: 2 Years Om! Next Next post: Full Moon News! Areola and all!